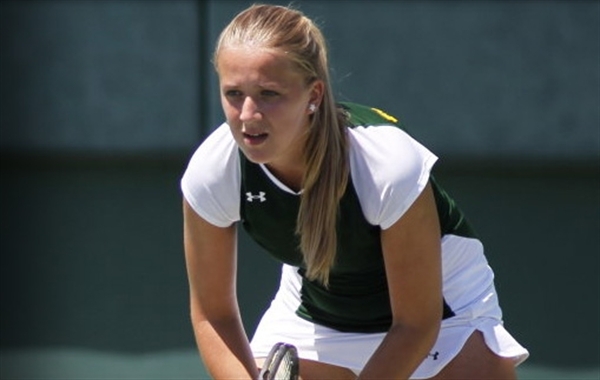 ROCK HILL, S.C. – In the first round of the singles main draw, Baylor women’s tennis senior Ema Burgic dropped a 6-0, 6-3 decision to world No. 135 Sharon Fichman (Canada) to close her run at the Rock Hill Rocks Open on Wednesday. The loss drops Burgic’s record to 2-1 at the event, an ITF $25,000 Pro Circuit tournament. Those two victories plus Burgic’s bye in the first round of the qualifying draw allowed the BU senior to be one of eight qualifiers for the 32-person main draw. Baylor will host its third and final event of the fall at the Hurd Tennis Center starting Thursday, Oct. 16. Teams from around the state will be in Waco as players work to qualify for the ITA Intercollegiate Championships. For the latest news on the Baylor women’s tennis team follow its official Twitter account: @BaylorWTennis.